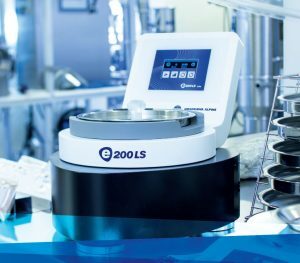 Whether in production or in the laboratory: ALPINE air jet sieves set international standards in particle size analysis. From monitoring the product quality in accordance with DIN EN ISO 9001 to the validation and documentation of tests – the innovations, know-how and expertise gathered by ALPINE over the last 60 years ensure that the air jet sieves are guarantees for quality and thus global market leaders. Numerous customers have been using ALPINE air jet sieves for many decades. And countless national and international standards even mandate the ALPINE air jet sieve as the test device for certain products. 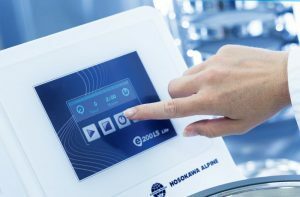 The last generation of ALPINE air jet sieves, namely the e200 LS, has now been completely revised and with the “Lite” model, targets especially the demands of price-conscious customers. e200 LS Lite version is now available in Hosokawa Micron Malaysia. Please contact our for details and quotation. I WANT TO KNOW HOW I CAN adjust Underpressure manually IN ALPINE E200 LS LITE MODEL. There is a manual underpressure control (sometimes we called it “manual flap”) normally connected at the back of e200 LS Lite to vacuum cleaner suction hose. You can control the underpressure by adjusting the opening of the manual flap.